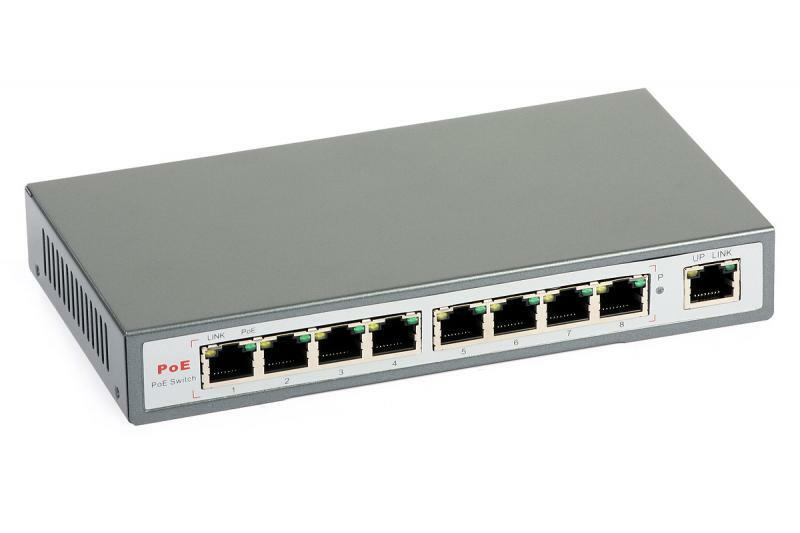 The ULTIPOWER 0288af PoE switch ensures smooth connectivity in 10/100/1000 Mbps Ethernet networks. 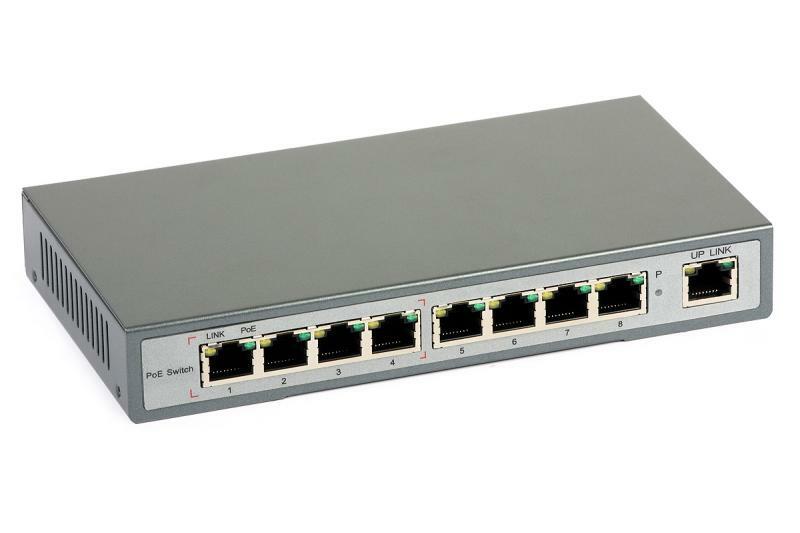 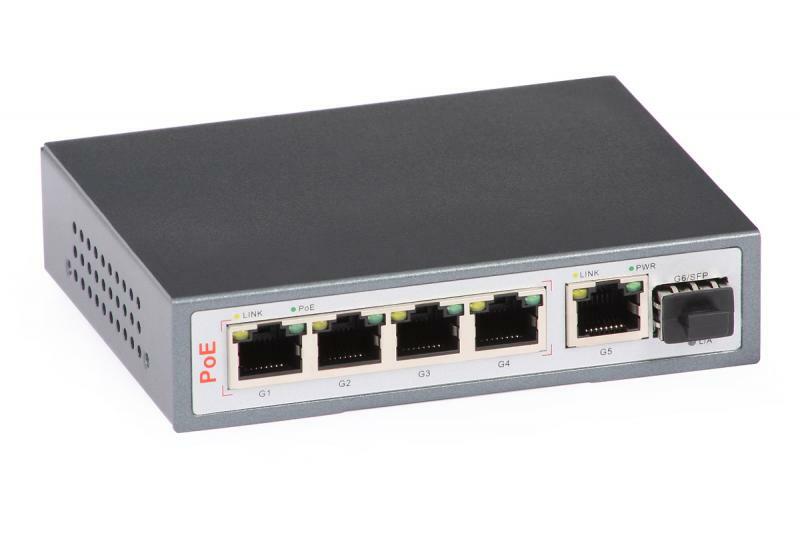 It has 8x RJ45 10/100 Mbps PoE ports supporting Auto-Negotiation function, RJ45 1000 Mbps port for connecting to access network and 2x SFP 1000 Mbps slots for SFP modules allowing for integration with optical networks. 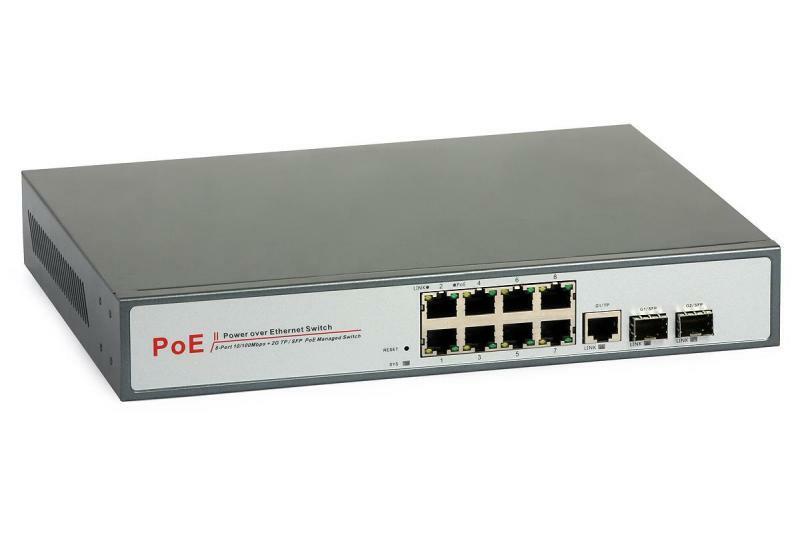 The 8 PoE ports automatically detect powered devices (PD) compliant with IEEE 802.3af standard and provide them with power supply. 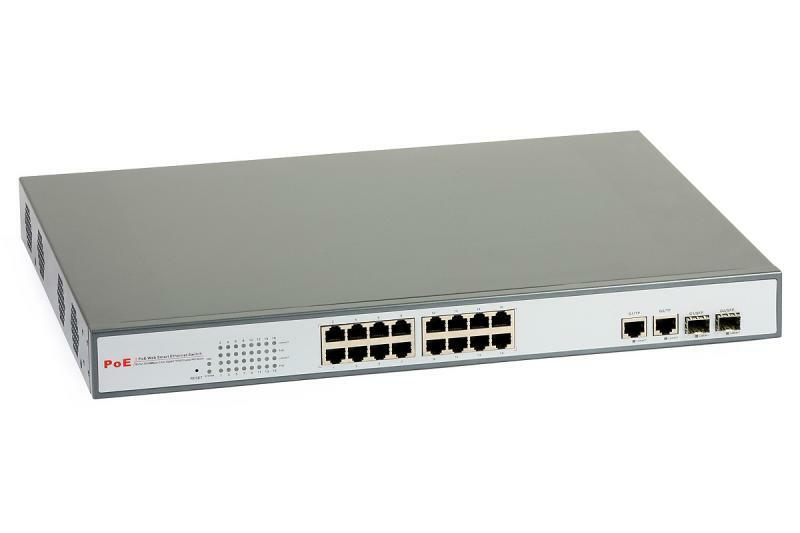 This feature allows the user to expand the network coverage in areas where there is no access to AC power lines/outlets and to employ access points, IP cameras, IP phones, etc. 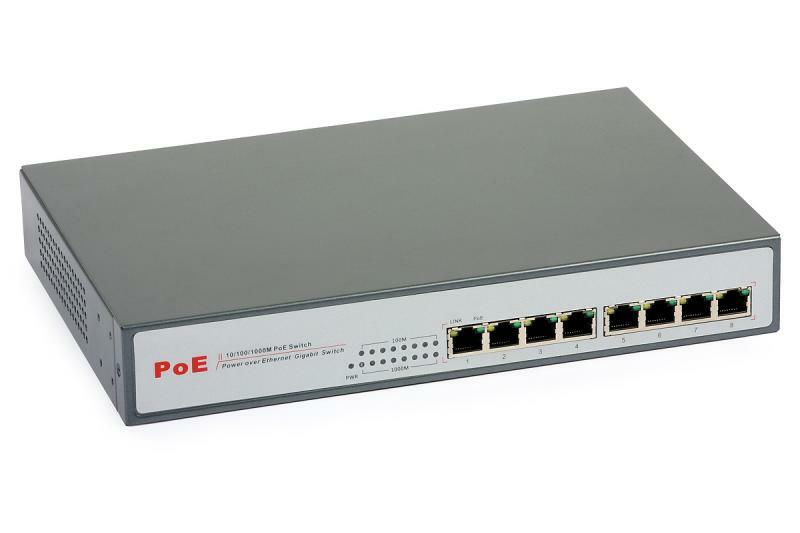 The most popular PoE standard, 802.3af, is used e.g. 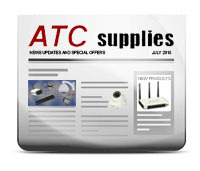 by IP cameras. 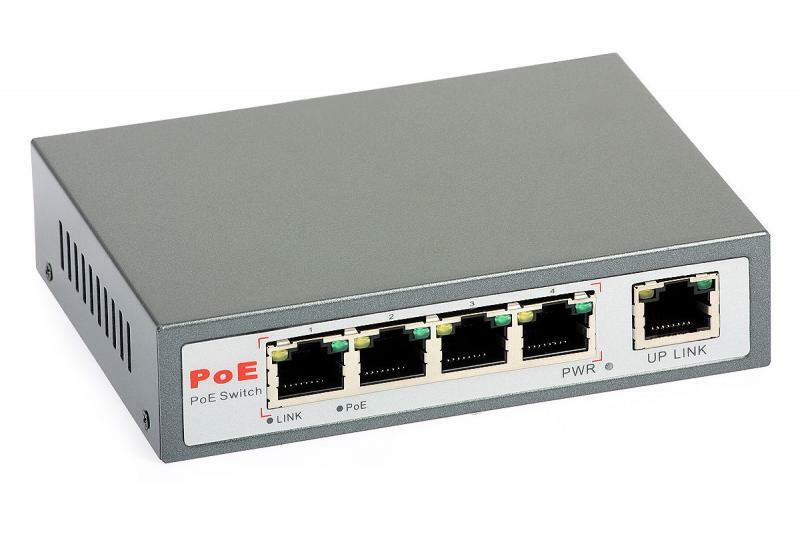 The supplying voltage can vary from 44 to 57 VDC and the consumed power cannot exceed 15.4 W. The 802.3at version allows for powering devices with DC voltage within 50...57 V range, which consume up to 25.5 W. This group of devices includes printers, IP PTZ cameras, switches. 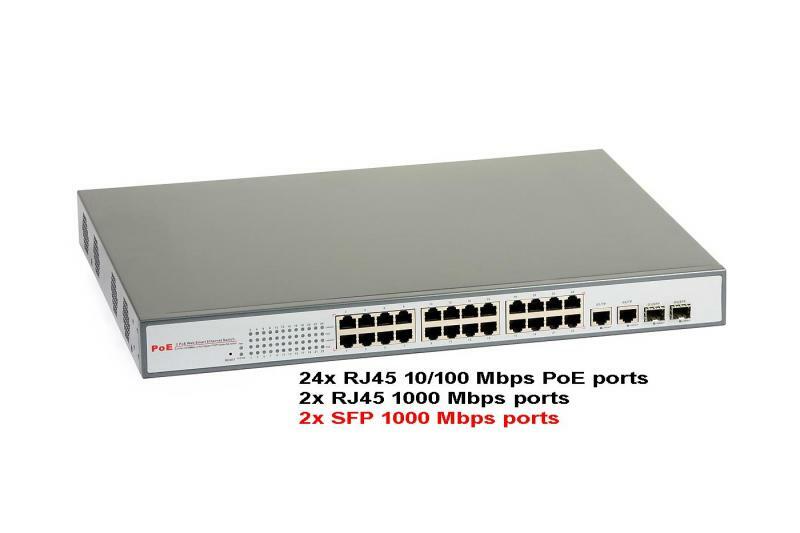 ULTIPOWER PoE Switch 16xRJ45/PoE-802.3af, 2xRJ45-GbE/2xSFP, managed.